The following video shows the proper way to eat rambutan fruit. 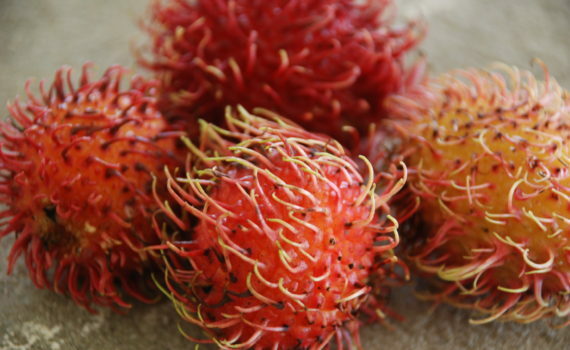 In Costa Rica, rambutan fruit is also known as mamones chinos. I use the term mamones chinos in the video. However, both names are used. Tip: Make sure you have a napkin nearby when eating them! I've spoken with friends of mine throughout the world, and Costa Rica is one of the few places were the term 'mamones chinos' is used. Rambutan fruit is much more popular and even used in the United States of America and Canada. Regardless if you call it mamones chinos or rambutan fruit, what is important and recommend is that during your next trip to Costa Rica, please make sure you take time to try this amazing fruit. It is in-season from approximately July through September each year. I've seen them as late as November, but the rambutan fruit doesn't generally taste as good when it is harvested so late in the harvesting season. As with all fruits, there are those that claim it helps with great health and can even help prevent or treat certain kinds of cancer. We do not attest to that or that rambutan fruit will cure anything. However, eating fruits is almost always beneficial to one's health and for that reason, we would recommend eating them while in Costa Rica. 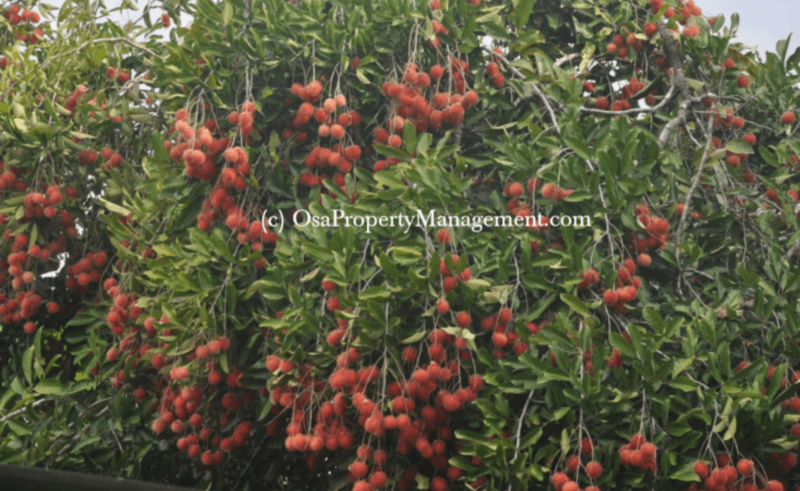 The Osa region of Costa Rica is home to some of the largest mamones/rambutan farms or orchards in Costa Rica. They are almost all owned by local, individual farmers (or family farms) and the buyers come all over Central America to purchase them. In fact, in San Buenas (located between Chontales and Tres Rios), every season a semi-truck arrives from El Salvador, along with a crew of three, who purchased over 50% of the town's rambutan fruit and haul it back to El Salvador to sell there.